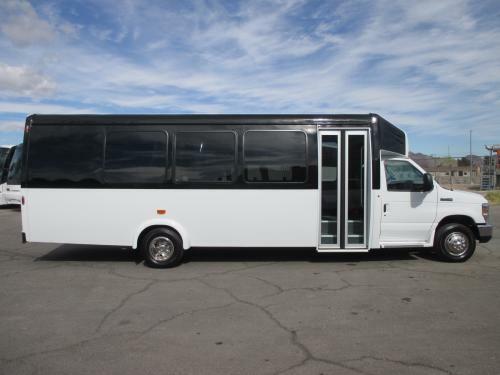 THIS BUS IS IN EXCELLENT CONDITION BOTH INSIDE AND OUT! 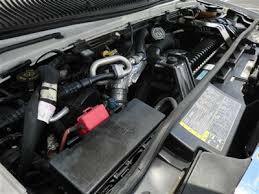 FORD 6.8L V-10 TRITON GAS ENGINE - FIVE SPEED AUTOMATIC TRANSMISSION WITH OVERDRIVE. 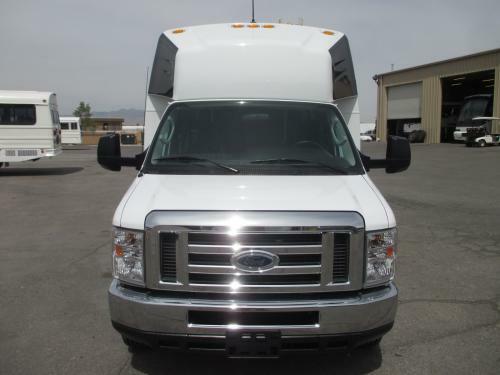 ELECTRIC DOOR - EXTRA HIGH CAPACITY AIR CONDITIONING FRONT & REAR - ANTI-LOCK BRAKES - POWER DRIVERS SEAT - AM/FM STEREO WITH SPEAKERS THROUGHOUT. 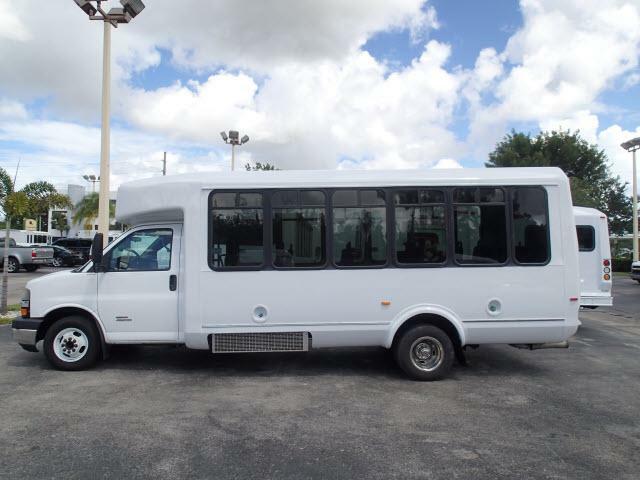 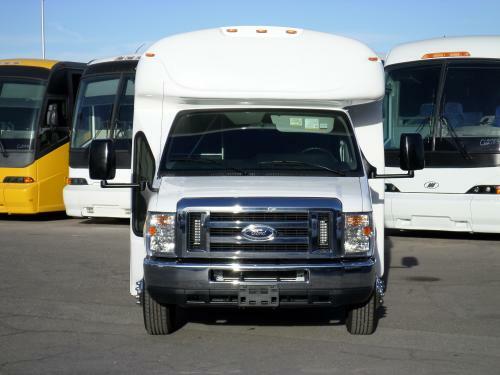 2011 Ford E-450 shuttle bus DOT maintained, equipped with a reliable 6.8L Ford V-10 engine and automatic transmission with overdrive. 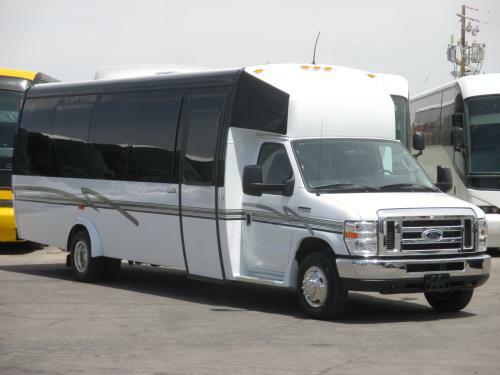 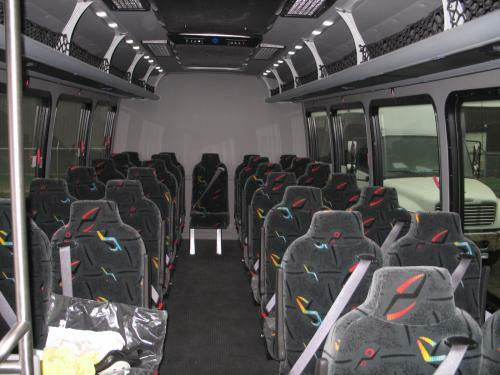 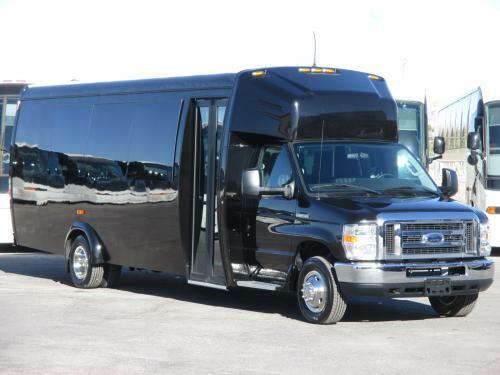 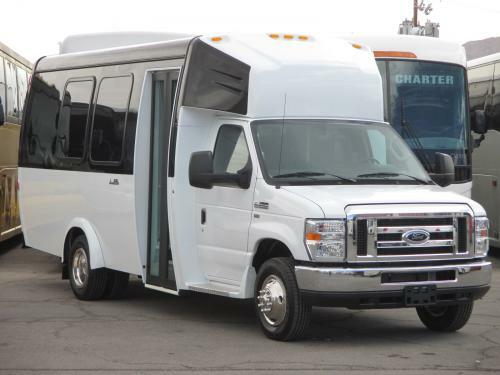 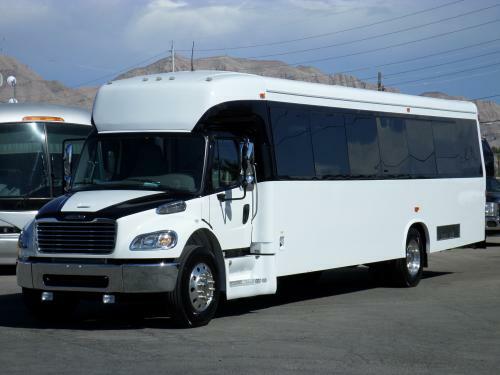 It delivers a smooth and quiet ride and will get your group to their destination in comfort thanks to dual A/C and heat and excellent quality versatile flip seats in vinyl for all 16 passengers plus 2 wheelchair positions.